Biscuits and gravy. Is this not the perfect breakfast comfort food? 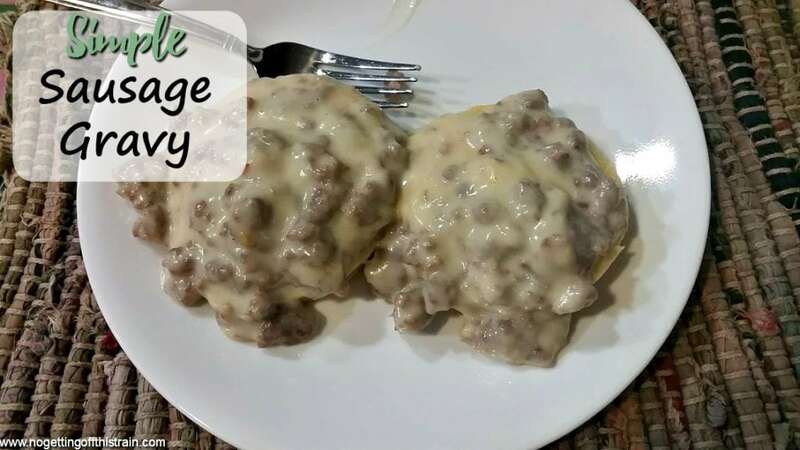 You can have a hot breakfast in about 20 minutes with this simple sausage gravy recipe. I learned this from the actual Bob Evans recipe; and if you’re a Bob Evans fan, you know it’s good! 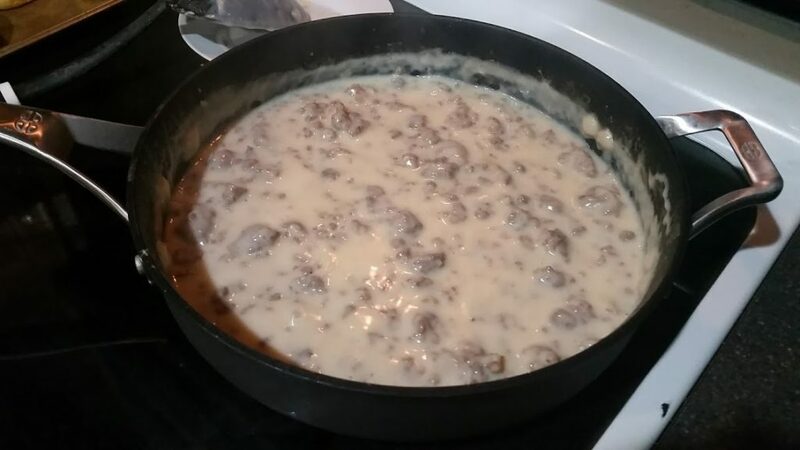 I never thought sausage gravy would be easy to make, but it really is. After you cook the sausage, you add the flour right in and cook with the sausage for a minute before adding the milk; and it immediately begins to thicken as you slowly pour in the milk. Add some salt and pepper, and after a few minute it’s done! I used canned biscuits this time because it’s what I had on hand, and it’s so much faster that way. But if you have your own favorite homemade biscuit recipe, go for it! This recipe for Golden Oven-Baked Biscuits is one I use on occasion, too. The only thing I don’t like about gravy is reheating it. Once it cools, it congeals into a big blob and microwaving it just doesn’t give it the same texture. If you know of a way to get around that, let me know! This serves 6… technically. So you may not ever have leftovers. Do you have any secrets to your gravy? 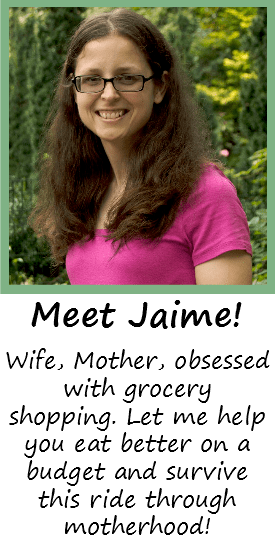 Post a comment and give us your recipe, too! In a large pan, cook the sausage until fully browned, then drain. Add the flour and continue cooking until all of the white disappears. Pour in the milk, a little at a time, and stir constantly until the gravy thickens. Add salt and pepper. When the gravy has reached desired thickness, pour over prepared biscuits.